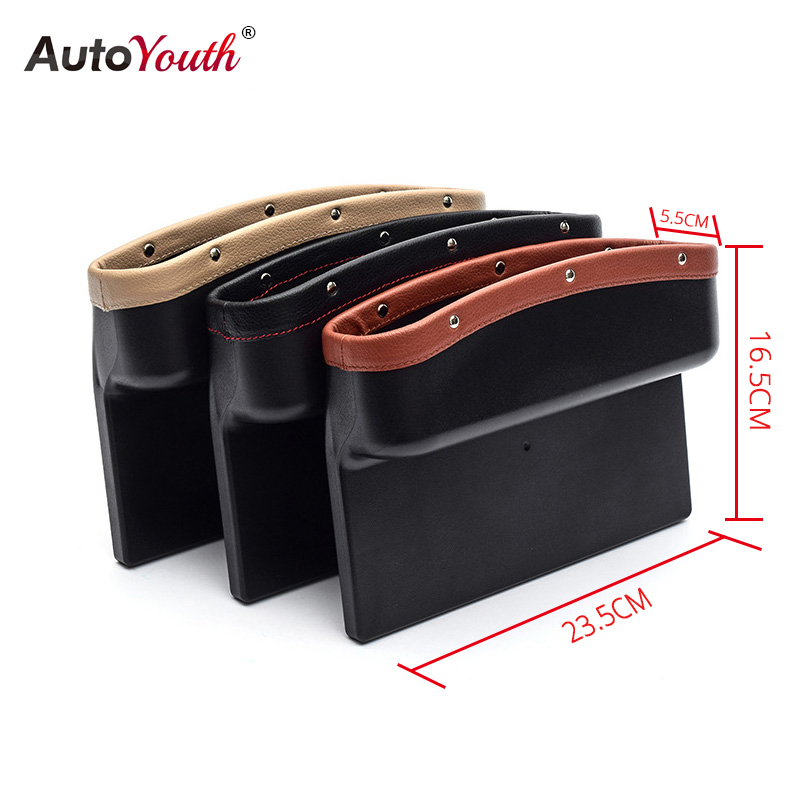 You can always add extra storage space to your center console with this entirely leakproof leather trimmed car organizer. Store coins, cigarettes, keys, cards it's the perfect size to store any of your belongings. Comes in 3 color choices to match any interior. Fill the gap with this perfect side seat pocket organizer! Never have items in your car laying and flinging around again. Instead of losing things between your car seat, turn that space into a storage compartment capable of holding various items. Virtually invisible to match any interior color.